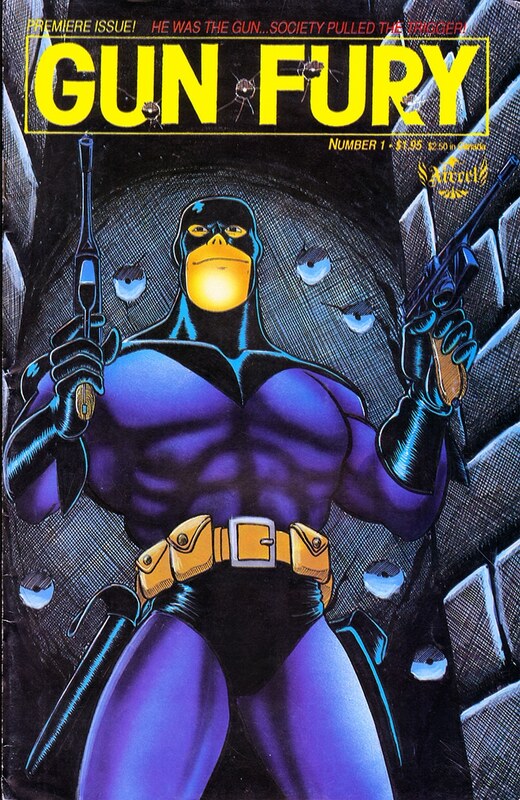 For years, Gun Fury and his faithful sidekick, Ammo, have been the bane of the New York City underworld. Fighting crime with high caliber bullers and high octane action, the pair have been an impossible to remove thorn in the side of criminals…impossible, that is, until Ammo is killed, unhinging the massive hero and setting him off on a spree of death, destruction, and mayhem. And no one who steps into his path is safe. Sit back and let Barry Blair and Dave Cooper take you on a satirical exploration of super heroes and violence in this over-the-top action-adventure romp.